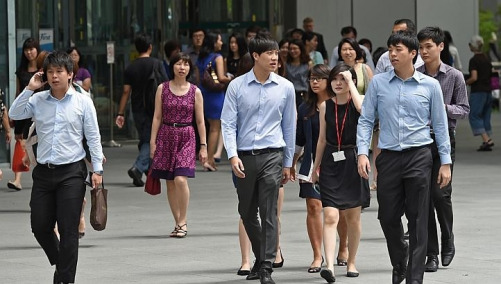 [SINGAPORE] The Public Service in Singapore wants to boost the career prospects of non-graduates in its ranks. There are plans to merge the graduate and non-graduate schemes, and to allow capable Management Support Officers (MSOs) to be promoted faster from October. The announcement from the Public Service Division (PSD) on Tuesday came after Prime Minister Lee Hsien Loong, in his National Day Rally speech earlier this month, said the Public Service would do more to support the aspirations of non-graduates. On Monday, a high-level committee unveiled a slew of recommendations to improve the career prospects of polytechnic and Institute of Technical Education (ITE) graduates. Most non-graduates in the Civil Service are currently hired under the Management Support Scheme. These MSOs are already able to take on similar jobs as graduates and be paid comparable salaries when they demonstrate the required performance and capabilities. From October, MSOs who perform well and are deemed ready to take on larger responsibilities can expect faster career progression, PSD said in a statement. They can get promoted (and even receive their first promotion) in 2-4 years, compared to the current 3-6 years. If they continue to do well, their subsequent promotions will also be faster. In his Rally speech, Mr Lee also spoke about merging more graduate and non-graduate schemes to give public officers the chance to progress on the same career track. PSD noted how such single schemes of service are already available in several public agencies. In the People's Association, the Inland Revenue Authority of Singapore and the Home Team Specialist Scheme, non-graduates and graduates enter at different points of their respective schemes. They progress in the same career scheme based on their performance and readiness to take on larger roles. PSD also said that it was studying merging the Management Executive Scheme - which most graduates are employed under - and the Management Support Scheme. "While fresh graduate and non-graduate officers are appointed at different starting salaries, it is their job performance and relevant skills that determine their career progression," said James Wong, deputy secretary (policy) at PSD. "As long as an officer does his work well and shows the potential to take on larger responsibilities, he will move up the ranks, whether or not he is a graduate."